We have made our position clear - anyone with the right skills and application should be able to rise to the top of the Civil Service, whoever they are. That means we are committed to making the Civil Service an organisation that is fair, meritocratic and that reflects the society it serves by drawing on the greatest pool of talent available to it. The Talent Action Plan sets out a vision for delivering on that commitment, by attracting and retaining talented people, irrespective of their background, or any visible or non-visible differences. The Civil Service already leads the way in offering an excellent career for young people through the Fast Stream and Fast Track Apprenticeship Programmes. In doing so, we must also ensure that we are truly inclusive and attracting a diverse intake every year. This is where our outreach programmes for undergraduates and school/college students are so important. The most established of these is the Summer Diversity Internship Programme (SDIP). 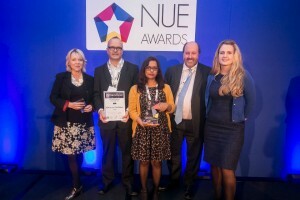 Last month, it won the 2015 National Undergraduate Employability Award for Best Diversity Initiative in Work Experience. The SDIP gives undergraduates from under-represented backgrounds the opportunity to see what a career in the Civil Service could be like before they decide whether to apply for a place on the Civil Service Fast Stream. 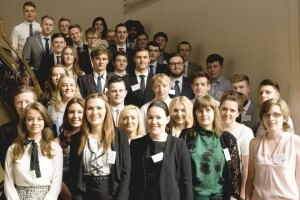 Last summer, 174 young people joined Whitehall departments for a placement of up to 9 weeks in the heart of government. They were given challenging project-related work and then placed on a coaching programme to help prepare them for the Fast Stream assessment process. Although the 2015 Fast Stream assessment is not yet completed, historically around 20% of our SDIP interns are offered full-time jobs through the graduate development programme. This is much higher than the 3% success rate that we would otherwise expect, given how competitive the scheme is, and the large numbers of applicants it attracts year after year. In 2015, building on this success, we are expanding SDIP to 300 places and extending our internship programme to welcome 100 first-year university students to our first Early Diversity Internship Programme (EDIP) in the spring. This week of shadowing, insight events and opportunities to talk to civil servants about their work gives students from minority ethnic or a lower socio-economic backgrounds or who have a disability a chance to understand the range of roles and careers on offer in the Civil Service, and the fact that they can fit in regardless of their backgrounds. Each one of them will shadow a current Fast Streamer and have the opportunity to keep that connection through ‘buddying’ after the programme. For those still at school, we offer the Whitehall Internship Programme, a two-week, funded residential scheme for Year 12 students; and this year we are also expanding the Year 9 Insight Day to 500 places across 5 UK cities, including London. Applications to join the the HR, Commercial and Analytical Fast Streams in September 2015 re-opened on 18 February. The annual competition usually opens for all schemes in September. Having been on an internship is helpful to applicants in understanding our offer and how they can maximise their strengths in the assessment process, but all applications are considered on merit. And those interested in applying for a job straight from school and earning while they learn, can still apply for the third cohort of Fast Track Apprenticeships - applications close on 10 April. Successful applicants will study for a Level 4 Higher Apprenticeship under one of the skills frameworks crucial for a modern Civil Service - Business Administration, Commercial, Finance, Digital and Technology, and Cyber Security. This year we have more than doubled the size of the scheme to 450 places, and over their careers we hope to see many of these apprentices rise to senior levels and realistically aspiring to the very highest posts. On 2 February, we also launched a brand new Level 3 Apprenticeship, with 300 vacancies, in the Operational Delivery Profession. This is the largest profession in the Civil Service and for many people the ‘face’ of the service, as it often involves delivering services directly to the public. The combined total of 750 places on these schemes offers roles the length and breadth of the country - from working for the Department of Work & Pensions in Dundee, to positions with HMRC in Hastings. We want this year to be the best yet for applications to these programmes. And with the sheer variety and responsibility of the roles we can offer, why wouldn’t you at least think about applying. At whatever point you join the Civil Service, you could be working on issues that are at the top of the national agenda and make a real difference to people’s everyday lives. And while we continue to increase the opportunities, one thing will not change, we are committed to making sure that everyone has access and that the entry assessment is blind to everything except merit.